The Chemodan Festival celebrates the 25th anniversary of the great Aliya to Israel from the former Soviet Union with a multi-disciplinary festival at the Barby Club on December 20, 2014. A million & a half or so people brought Russian culture into the Israeli scene for a great remix of language, music, art and theatre. There’s a lot to celebrate, just look at the cool program! The Ministry of Aliyah and Immigrant Absorption, the Tel Aviv-Yafo Municipality and Fishka community are celebrating 25 years since the mass Aliyah from former Soviet Countries with a multi disciplinary Festival. 25 years have passed since the mass immigration from the former Soviet Union to Israel, which brought a wave of about one and half million immigrants and created new and exciting mix of new cultures with the emerging Israeli culture. The past 25 years, have proved to be a tremendous contribution to the increase in Israeli society and in particular the world of culture and creativity, in music, performing arts, visual arts, dance, film, literature, poetry, fashion and more. 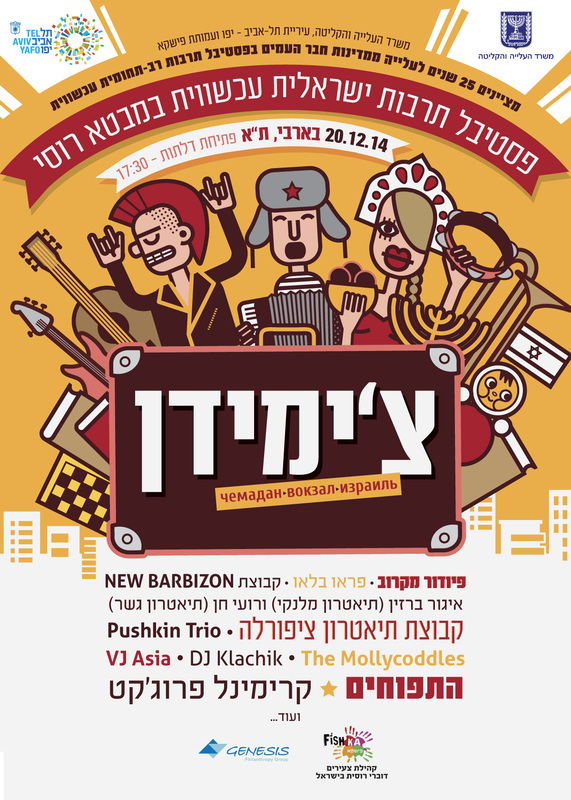 The Municipality of Tel Aviv-Yafo and Ministry of Aliyah and Immigrant Absorption, with the assistance of the Fishka Association, will hold a festival celebrating the contribution of the rich Jewish-Russian culture, that was brought to Israel. As well, as experiencing the innovative perspective of the Olim Vatikim in Israel. 18:00 – 19:00 – Children’s show “That Round Thing,” created and performed by Fyodor Makrov and Lyosha Gavrielov. The performance is without text/words. 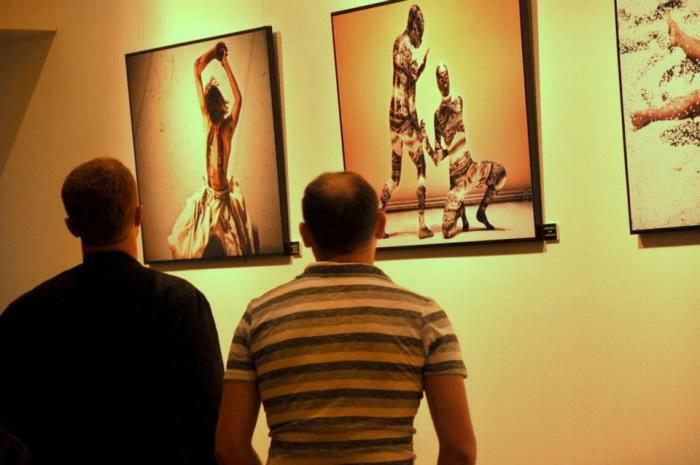 20:00 – 21:00 – Theatre talk with writer/translator Roy Chen (Gesher Theatre) and Igor Berezin, Artistic Director and Founder of Malenki Theater. 21:00 – 21:30 – Pushkin Trio acoustic performance in the club entrance. Chemodan Festival is produced by the Tel Aviv-Yafo Municipality, Ministry of Aliyah and Immigrant Absorption, and the Fishka Creative Multicultural Community.